Every year dozens of neighborhood kids meet at Patterson Park to hunt for hundreds of eggs, crack cascarónes, and enjoy a potluck brunch with friends. The neighborhood has held a 4th of July parade down French Place for 20+ years. The parade ends at a celebration at Cherrywood Green with watermelon, lemonade and cookies shared by neighbors. The Cherrywood Plant and Book Swap is a held in the spring and fall, and is an opportunity for neighbors to share the bounty in their yards and bookshelves. You don’t have to bring a plant or book to participate. 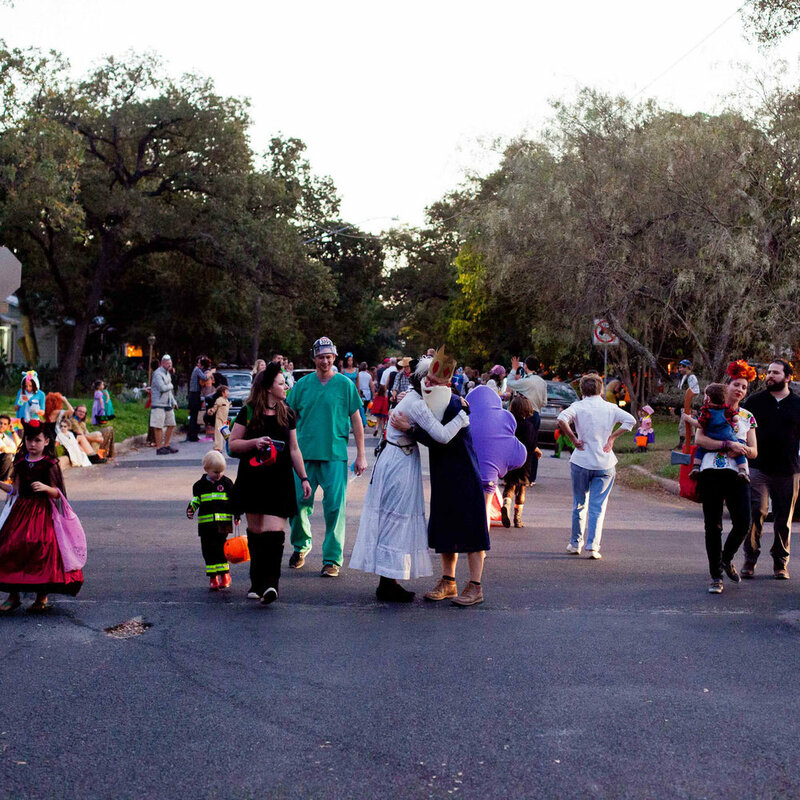 The neighborhood hosts an annual parade down French Place the celebrate Halloween. Kids, grown ups and pets dress up in costume and neighbors all along the street welcome trick or treaters.